The WooCommerce checkout process can often feel long – especially when compared Amazon, to the gold standard of eCommerce, and their patented 1-click purchase. Extra steps can often lead to lost customers. 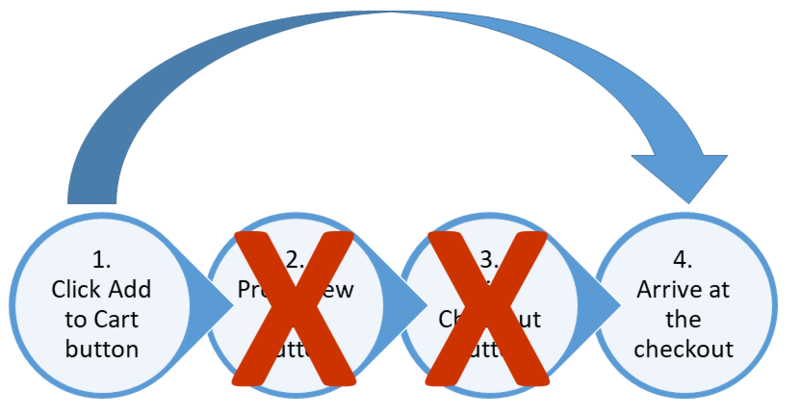 26% of cart abandonments are caused by checkout processes that are too long or complicated. That’s a lot of potential customers that could be leaking out of your conversion funnel. These are a lot of steps if the customer just wants to buy the product. If you have simple products or your customers only typically buy one product there is a simple process to get around this. The setup is extremely easy. 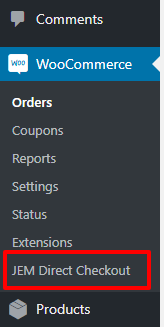 Once you have downloaded the plugin (remember you can find it here: http://bit.ly/JEM-direct-checkout) you will see a new item in you WooCommerce menu. The setup is super easy. For our example all you need to do is simply check the “Enable Skip Cart for ALL Products”. This will effectively turn-on the plugin functionality. Once you have done that when your visitors hit the Add to Cart button they will immediately be taken to the checkout page – it’s as simple as that. I hope you enjoy this plugin and it helps raise conversions on your store.